Here at Creek Yoga, we value the importance of creating an environment free of judgment, stereotypes, and discrimination. With the support of our wonderful teachers, we hope to provide guidance to every individual -regardless of age, body type, and ethnicity- that is interested in learning about the wellness of body, mind, and spirit that comes with practicing yoga. Though all of our instructors share our philosophy, they each have unique experiences and individual connections to the practice of yoga. Find out more about these incredible instructors who we are happy to have in our Creek Yoga team. If you are a yoga teacher interested in working with Creek Yoga, please contact us. Jill (RYT) began practicing yoga after a car accident left her with broken ribs, a collapsed lung and daily pain. She not only found physical healing but a passion for yoga in all of its many contexts, prompting her to earn her instructor certification in 2005. Jill strives to provide her students with a multi-dimensional, creative and uniquely personal yoga experience incorporating relaxation, strength, flexibility and balance to achieve overall better physical, emotional, mental and spiritual health. Gabriel has been practicing yoga since the age of 17. He studied Hatha, Ashtanga, Vinyasa, Iyengar, Restorative, Yin, and various other yogic methods at Shiva Yoga Peeth in Rishikesh, Uttarakhand, India, where he received both his 200 and 300 hour yoga teaching certifications. He is a Registered Yoga Teacher 500 (RYT 500) with Yoga Alliance. Having learned numerous yoga, meditation, and breathing techniques from some extremely talented and knowledgeable yoga masters, he is always excited and happy to share this knowledge with all who wish to learn. In his classes, he emphasizes the link between proper alignment, and breath to reach a higher level of yoga. Kristen walked into her first yoga class when she was pregnant with her daughter, with no idea of how the practice would, ultimately, influence her life. That was back in 1997 and, no matter where life has taken her, it always brought her back to her mat. Fast-forward 15 years and, after stepping away from the corporate world in 2012, she earned her 500-hour, Yoga Alliance-approved teaching certificate. Kristen’s teaching style emphasizes strength; flexibility; proper alignment; and, most important, safety. She connects all movement with the breath, ensuring that students gain the most benefit from their practice — physically, mentally and spiritually. In the end, her goal is to inspire students to work to their highest potential, while encouraging them to have fun and enjoy their practice. Rob Zabel has been teaching yoga in Los Angeles since 2011, and taught his first classes to friends at the age of sixteen. Since then Rob has earned his master’s degree in Yoga Studies from Loyola Marymount University, where he also studied Yoga Therapy with IAYT founder Larry Payne. 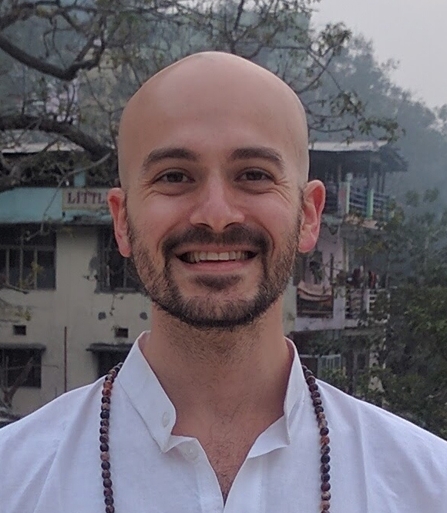 Rob has been blessed to have spent extensive time in India as well, studying yoga with members of the original lineage of Hatha yoga known as the Nathas. For Rob, the physical practice of yoga is a potent means to access deeper and subtler aspects of reality through which students may regain balance in their lives. In every class, Rob aims to take the student beyond the everyday material experience of life and bring them in touch with the most profound layers of the Self through the control of body, breath, and mind. Amanda is a Healing Arts Practitioner, currently residing in LA. She was introduced to yoga in 2009 and immediately loved the physical aspect of the practice. It wasn't until she moved away in 2012, when she started practicing Ashtanga & Vinyasa Yoga regularly. After two years of continuous dedication, Amanda became hooked on not just the physical aspect of yoga, but the mind, body and spirit connection. In 2014, she began her journey to becoming a teacher. When she completed her RYT 200, she craved to learn more and to dive deeper into yoga philosophy. Amanda graduated from Southwest Institute of Healing Arts in Tempe, Arizona, where she finished the 800 hour Holistic Health Practitioner diploma. She is now a certified RYT 500, Holistic Nutrition Specialist and Reiki Master Teacher. She also specializes in Prenatal, Yin, PTSD, Aromatherapy and Sound Healing. Linette, born and raised in Los Angeles, grew up as a competitive gymnast. She attended her very first yoga class at Pasadena City College, while she had depression due to a toxic relationship. She realized yoga not only helped her find herself again, but it also benefited her symptoms in regards to her auto-inflammatory disease, known as Familial Mediterranean Fever Disease. After a couple of years of practice, she spontaneously went to Koh Phangan, Thailand to complete her 200 hour yoga teacher training. She is currently a gymnastics coach, yoga teacher, acrobat, and student at Cal State Northridge, majoring in Kinesiology. 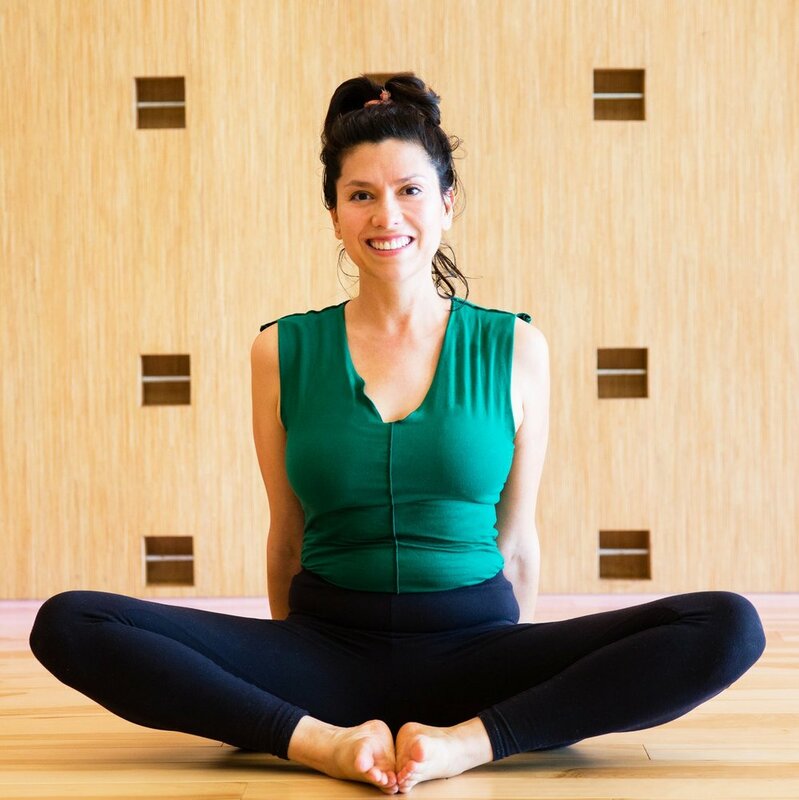 As a soulful, empath, Linette is tremendously grateful to have the opportunity to share her knowledge about yoga and the many ways it can heal and connect the mind, body, and soul. Cindy has known since a young age that she wanted to inspire others to live a happier, healthier lifestyle. 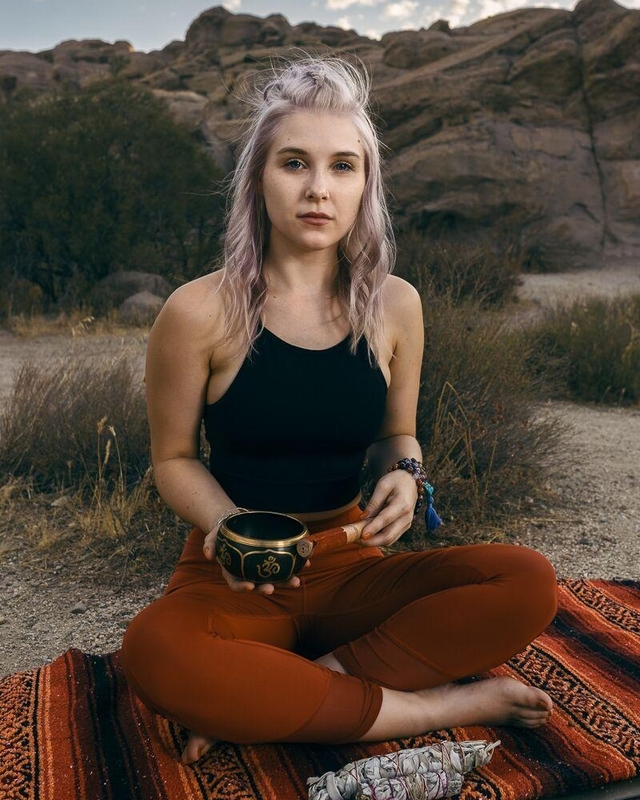 She was first introduced to yoga in high school through dance/cheerleading and quickly saw the benefits of the practice - in 2014 she attended her first Yoga Teacher Training in Silverlake, California. Cindy works with students of all ages and abilities. Cindy teaches yoga to teens through in-school programs around the Los Angeles area, as well as private coaching with student athletes as a part of their strength training program. She also works privately with clients who have a range of injuries to aid in their recovery. Cindy finds her passion in helping others achieve their goals, whether that's to be stronger or more mobile. With a strong fitness background Cindy teaches multiple styles: Power Yoga, Yoga Sculpt, Yoga Barre, and Yin Yoga! Her ultimate goal is to provide you with classes that will help you challenge yourself mentally, physically and spiritually. Her bubbly, outgoing and motivating personality will have you leaving class probably sweating, soul shining, and heart smiling every time! Selene is a LA-based yoga teacher where she teaches yoga to a diverse group of students from pre-schoolers, adults to seniors. Selene makes each class engaging, explorative and fun where the goal is to gain a deeper mind-body connection. 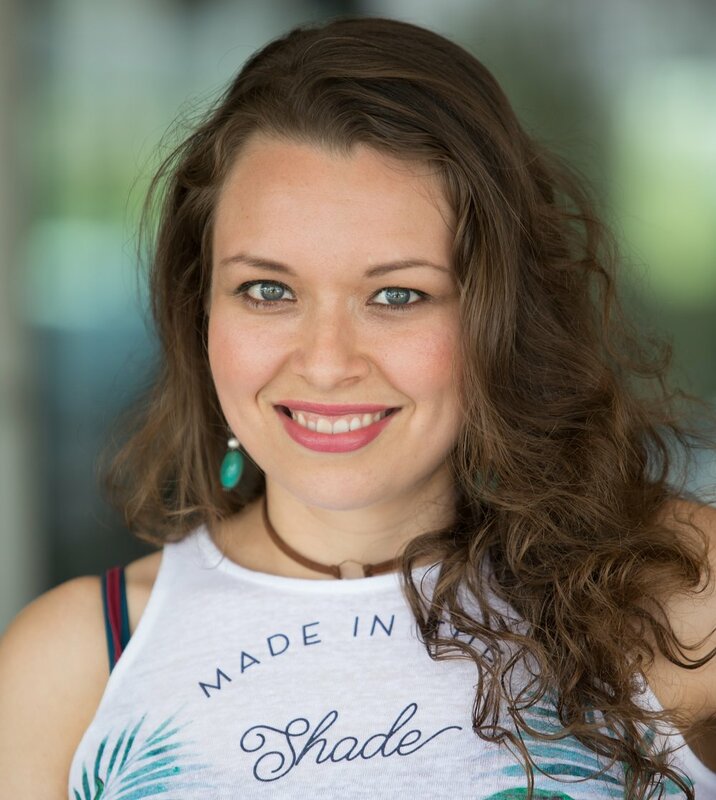 Selene teaches alignment-based yoga fundamentals and is a certified laughter teacher and certified Reiki practitioner. In 2015, Selene joined the 3-year Iyengar Yoga Teaching Training program to further enhance her breadth of knowledge of yoga. Recently, Selene had the opportunity to go to Pune, India to study with Geeta Iyengar at Yoganusasanam, a seven-day asana and pranayama intensive. Selene mentors with Monica Rose and studies with Marla Apt and Manouso Manos. As a mother of 5; the youngest being 3.5 year old twins, Lucy continuously looks to balance all aspects of her life - Mind Body and Spirit. Through YOGA, Lucy has not only found this balance, but discovered her love for sharing the practice with others. Prior to embarking on her passion for teaching YOGA, Lucy worked in health care technology completing nearly 17 years as a Human Resource Professional. This is where she realized the benefits of YOGA in the workplace and subsequently launched her career as a Corporate Yoga Teacher AND Fitness Instructor servicing companies like Nike, Honda and Boeing as well as working privately. She continues to seek more tools to offer in the areas of YOGA Therapy, a practice including physical therapy and occupational therapy on the backbone of Spirituality. Lucy RECENTLY added to her list of professional certifications and completed a Yoga and Healing Sciences 200 RYT program at Loyola Marymount University. A Wisconsin native, Laura's yoga practice began after she moved to Los Angeles - it was love at first asana! She soon found herself in the studio 3 times a day and teaching family and friends everything from yoga basics to inversions. After a year of contemplating teacher training, she left a career in the corporate business world to pursue her passion for yoga and helping others - which she'll be the first to tell you was the best decision she ever made. Laura received her 200 Hour RYT certification in India, after rigorous study under renowned Hatha, Ashtanga Vinyasa, and Vinyasa Flow instructors. Her mantra: 'In yoga, we connect: with our breath, with ourselves, with each other, and with the universal energy.' There is so much to explore and feel, and as an instructor she wants her students to discover something new each time they are on their mat. She is constantly inspired by travel and nature, and her favorite place to practice is the beach! Linda is always pointing to the openness of Being whether teaching Yoga, Meditation or Reiki with the only goals for her sharing being an opening for all to experience even more happiness, joy and freedom in their lives. As authenticity and transparency are at the heart of her teaching, her own openness allows her students to also fully relax and surrender to whatever is present without resistance or judgment. Lizzeth found yoga a few years back and it completely changed her life. It continuously teaches her to love herself, to breathe and create space for the things that nourish and help her grow. Her journey began in 2014 with daily practice for a few years of years until she decided to get a deeper understanding about yoga. Lizzeth became a 200-Hour RYT in Siddhi Yoga in Rishikesh India where she learned asana alignments and modifications, yoga philosophy and lifestyle, and Hatha & Vinyasa yoga styles. Her classes focus on creating space, creating awareness, and practicing self-acceptance. Shea has obtained her BFA in dance performance from Marygrove College. As a dancer she was introduced to yoga, which has changed her way of life and way of moving. Since 2010 Shea has been working on her practice at studios such as Yoga shelter, Bikram Yoga, through home self-Practice, and Local community events, one being “Detroit’s Bikes and Yoga” & Dance/Yoga Meditation. Since completing her degree she has relocated to Los Angeles, California and since has discovered Buti Yoga and has been recently certified in Buti this past August 2017. Shea deeply believes in unity and bringing others together through community and the mind, body, soul connection, that through love, patience, and practice we can be one with one another. She plans on furthering her Yoga education this March and obtaining her 200 RYT in Vinyassa through YogaBeyonds teacher training in Bali Indonesia. As of now she is teaching pop up community classes and substituting and currently working on a project “Brunch and Yoga for the homeless”. Ezra is a yoga instructor, dancer and actress from Los Angeles, California. 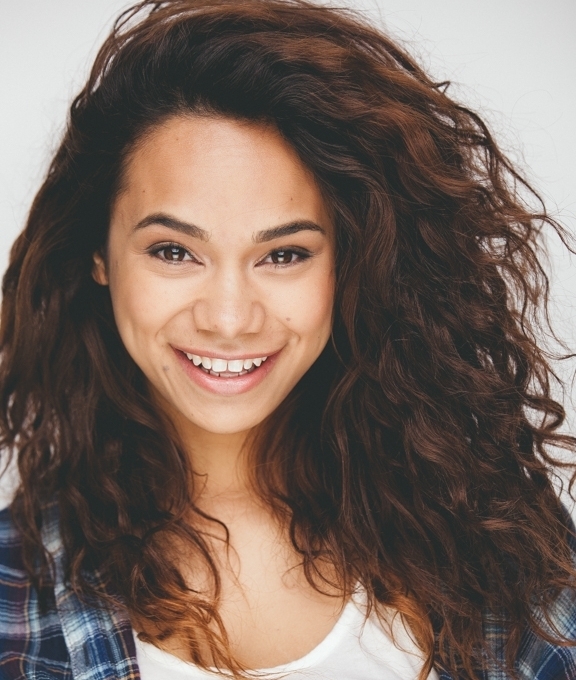 She graduated from the California Institute of the Arts with her BFA in Dance and Choreography. In the past, Ezra had always practiced yoga as a way to help benefit herself as a dancer--but as she began to notice positive shifts and changes within her mind, body and spirit, she began to pursue yoga as a way of life. She received her 200-hour Power Yoga Certification from Core Power Yoga in Hollywood. 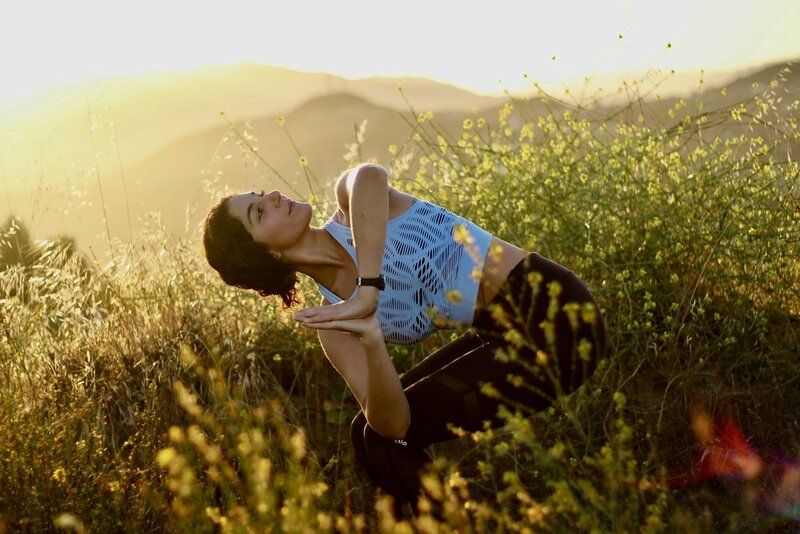 Ezra teaches various yoga styles such as Power, Yin and Sculpt throughout Los Angeles, and she also has experience teaching Cardio Barre and Conditioning classes. Yoga has always crossed Dominique’s path and many times throughout her life. There she was, weighing over 220lbs, trying all sorts of exercises and diets, but something was not right. Dominique decided to invest in herself and worked for her RYS 200 in Yoga and Meditation. It has been a wonderful journey. She has experienced an amazing personal transformation---mental, physical and spiritual well-being, and she is excited to share her knowledge and practice with people. Rachel is a Los Angeles based yoga instructor who has been practicing yoga for almost 6 years. She found yoga when one of her dance instructors required a power yoga class for strength and flexibility, and she hated it at first! But after consistently attending class, and with the support of her mother, she slowly found a passion for yoga. Rachel left her home in Colorado at the fresh age of 18 to pursue an acting career in L.A., but quickly found herself drawn to yoga instructing. She completed her 200hr teacher training in 2016 and has been teaching group and private classes ever since. Rachel also enjoys traveling, hiking, sunbathing, and eating dessert when she isn’t practicing yoga. Yoga has always been a part of Yan's life. It not only make her stronger, more flexible on and off the mat, but inspires her to live each moment more mindfully. Amazed at how the practice alleviated the stresses of corporate life and helped her achieve much needed personal balance, she wanted more people to experience the benefit of yoga practice. She loves teaching and sharing naturally, and always bring her best to the students. "No judgement, just be yourself..." Yan likes to say. Jill grew up a dancer. After teaching dance classes for many years, she eventually found her way to the fitness world teaching barre classes and managing a studio. Yoga became an escape from everyday busyness. It helped her slow down and sift through what was really important in life and what was superfluous in life: it was a way to “clean house”. In 2015, she moved to Los Angeles from Boston with her fiance and realized that she needed to know more. She set off on an adventure to India to complete her 200hr Teacher Training with a friend and never looked back! Jill trained in Hatha Yoga, Vinyasa, and the Ashtanga series. She loves blending the balance of Hatha Yoga with the flowing movement of Vinyasa. She continues to learn herself about the physical, mental, and spiritual benefits of yoga, and is excited to share this journey with others. Aliza has been practicing yoga in various forms for over 15 years. She has a certification in Vinyasa Flow Power yoga from Core Power Yoga and a certificate in Yin Yoga. Aliza practices yoga for the psychological, emotional and spiritual benefits as much, if not more, than for the incredible physical benefits. Aliza believes that in developing a strong body we also develop strong minds. She strives to make yoga approachable, achievable, effective and fun for everyone at any fitness level. Melody is a Los Angeles native. Her interest in Yoga began with meditation. After attending several silent meditation retreats she began to pursue yoga more seriously and became a certified teacher. This deepened her practice, furthering her knowledge of yoga and anatomy. As a teacher she focuses on proper body alignment, breathing techniques (pranayama), combining movement with breath, and hands on adjustments. Though her classes always contain a clear theme, whether it be focusing on opening a particular part of the body or building up and warming down from a specific peak pose, she remains mindful of each individuals personal practice and navigates her class according to the needs and attention required by her students. She teaches Hatha, Vinyassa, and restorative yoga. Shannon has practiced yoga for the past 16 years of her life. As she became stronger in her practice, she has been able to bring that serenity into her own life. Through working with the breath, the movement of the body, and letting go of incessant thoughts one can bring about a peaceful place with an abundance of support. Utilizing this she has created a well balanced life involving cooking, gardening, meditation and practice; as well as a good hike with her dogs. As one that has benefited so much from the practice of yoga, Shannon wants to offer this insight to others, in this she would be helping them to create a deeper understanding of how they can utilize the healing benefits in all areas of their life.